Michigan Proposal 3, the Voting Policies in State Constitution Initiative, is on the ballot in Michigan as an initiated constitutional amendment on November 6, 2018 (Election Day). 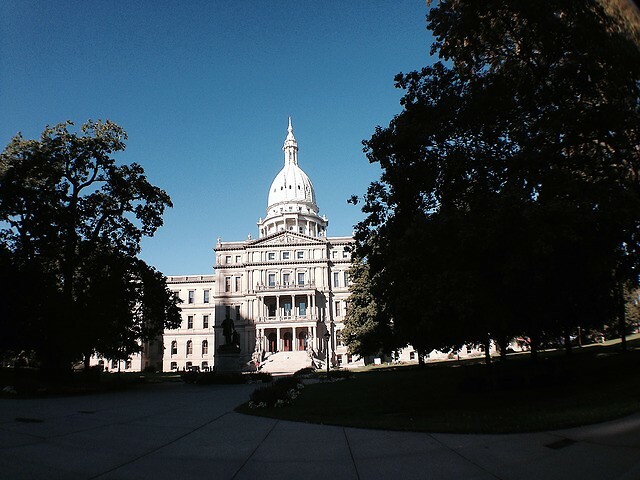 Michigan Proposal 3, the Voting Policies in State Constitution Initiative, is on the ballot in Michigan as an initiated constitutional amendment on November 6, 2018 (Election Day). The essential premise behind this state constitutional amendment: Most Americans want to make it easier not harder to vote. A “yes” vote on this proposal supports adding eight (8) voting policies to the Michigan Constitution, including straight-ticket voting, automatic voter registration, same day voter registration, and no-excuse absentee voting. A “no” vote opposes adding eight voting policies to the state constitution, maintaining that straight-ticket voting, automatic voter registration, same day voter registration, and no-excuse absentee voting are not used in Michigan. The following table compares existing voting policies to those found in Proposal 3. The table is from Michigan Secretary of State, “Initiative,” Accessed March 2018. Click here to view the table. The policies that Proposal 3 would add to the Michigan Constitution are not particularly unique or novel. In fact, Michigan is behind in this movement to make voting more accessible. No-excuse absentee voting is found in most states – 27 and Washington, D.C. Same day voter registration is used in 18 states and Washington, D.C. At the time of this writing, 14 states and Washington, D.C. use automatic voter registration. Seven states utilize straight ticket voting. As Michigan strives to become an ideal state where no discrimination or voter suppression exists, it is critical in this endeavor to consider these reasonable, common sense, generally accepted amendments. We need a voting system that works for all citizens in Michigan.